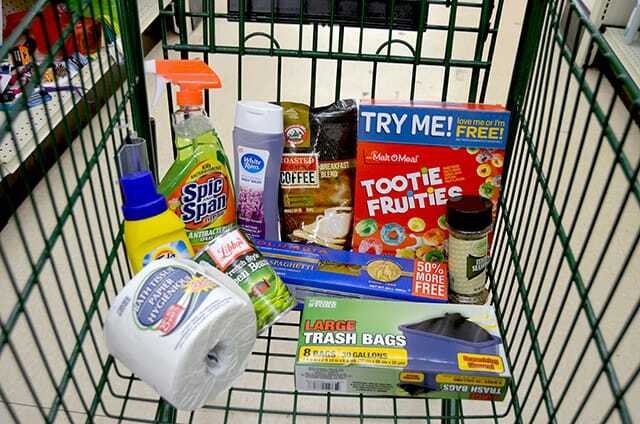 Family Dollar, Dollar Tree or Dollar General: Which One is Cheapest? My grandfather’s favorite place to shop was the dollar store. Whenever I visited, we’d go on a field trip and he’d stock up on everything from over-the-counter meds to bananas. Before accompanying him, I never realized the breadth of items available at the dollar store. I was amazed by all the things you could buy — for much less than at other retailers. Ever since then, I’ve told myself I should start going to the dollar store, but I always forget. I still do the bulk of my shopping at the grocery store, Walmart or Amazon. That is, until, I read this post about what to buy at the dollar store — and got all fired up. Why wasn’t I shopping at the dollar store? I was wasting money! But before I turned over my new bargain leaf, I had to figure out which one would become my go-to. Of the three major dollar stores — Family Dollar, Dollar Tree and Dollar General — which is best? And by best, let’s be honest: I mostly mean cheapest. To find out, I went on a mission and shopped at all three. I decided to compare prices for 10 staple items at each dollar store. *Since everything at Dollar Tree costs $1 or less, its items are often much smaller. In the totals at the end of the post, I account for size discrepancies. So, Which is the Best Dollar Store? So, though the prices are fairly similar, it looks like Family Dollar is the winner! It had brand-name items for a cheaper price than the other two stores. However, it was also the least friendly and most cluttered of the stores I visited. It might just have been that one location, but it’s worth noting. Even though Dollar Tree came in second, I don’t think I’ll return. The items were generic and in such small containers you’d have to buy 10 tiny bottles of laundry detergent at a time. Yes, mini everything is pretty cute — but it’s annoying to buy and store, and the extra packaging is wasteful. Despite the fact Dollar General rang in as the most expensive, I’m not writing it off: Its store was clean and well-stocked, and also had the friendliest employees. Lastly, I price-checked my shopping list at the two retailers I shop the most: Walmart and Amazon. Wow. I can’t believe Amazon’s prices are 81% higher than the least expensive dollar store — for the exact same items. That’s not counting shipping, or the fact some of those prices are only available to Prime users. I don’t usually shop at Amazon for household goods, and after seeing these numbers, I’m definitely not going to start. And shop at the dollar store. Your Turn: Do you frequent the dollar store? Which one is your favorite?